The U.S. Department of Education (ED) has launched a new website, Hurricane Help, that offers support to those affected by recent extreme weather events, including hurricanes Harvey, Maria, and Irma, and their aftermath. The site offers the most current updates on emergency efforts in the affected communities, contact information to receive direct support, and a large number of both (1) general hurricane and disaster resources, and (2) resources related to education. The Department has also issued a Q&A document for education stakeholders that addresses questions and concerns the public may have about the activities of and services currently provided by the Department. Fall is upon us, and OSEP is ramping up for a very busy season ahead. One of the events I look forward to attending is the DEC 2017 International Conference, on Oct. 4–6, 2017 in Portland, Oregon. I hope to see many of you there! Also next month, countless activities across the education community will take place to honor and spread awareness for several disabilities. Stay tuned for more details on OSEP's plans to feature resources and events from our grantees, and to spotlight the perspectives of families, educators, practitioners, individuals with disabilities, and many more! The public comment period for the regulatory reform process ended earlier this month, and I want to give immense thanks to all of you who submitted comments. I am confident your input will be incredibly valuable as the process continues. Finally, please be sure to join us for the third virtual symposium, "Conveying Our Stories - Displaying Our Data." This online event will take place Oct. 10, 2017, 1:30–3:30 p.m. EDT. It will focus on how states, districts, and Individuals with Disabilities Education Act (IDEA) Part D-funded investments can develop engaging stories and effectively use data to improve communication strategies used with stakeholders, leadership, and decision makers. If you haven't already, please register for the event and be sure to check out the pre-work materials, now available on the symposium landing page above. OSEP's state performance plan/annual performance report (SPP/APR) information collections for IDEA Part B and Part C were approved for three years! We will roll out the documents formally during the October 12 TA (technical assistance) Call. 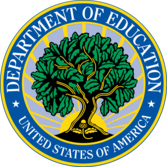 OSEP is currently reviewing comments for the following information collection packages: (1) IDEA Part B Application, (2) IDEA Part C Application, and (3) State and LEA Record and Reporting Requirements. Finally, we invite you to view the SPP/APR 2017 Indicator Analyses for IDEA Part B and Part C. These reports provide a national picture of the implementation of IDEA parts B and C, based on the state-submitted 2017 SPP/APRs. OSEP would like to thank all of the TA providers across the network for their individual and collaborative efforts in completing this year’s reports. Each of the Indicator Analyses can be found on the GRADS360 SPP/APR Resources website, and at the links below. 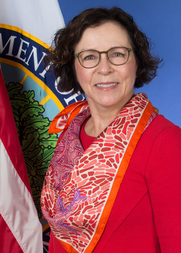 This month the Early Childhood Technical Assistance Center (ECTA), in partnership with the National Center on Early Childhood Development, Teaching, and Learning, concluded their four-part webinar series, which addressed questions that frequently arise when local early childhood programs collaborate to implement high-quality inclusion. The final webinar, "Partnerships for Inclusion: Professional Development to Support Effective Inclusion Practices," focused on professional development and TA to support the workforce in implementing effective research-based inclusive practices. 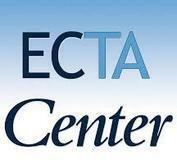 You can find more information on this and other ECTA webinars here. Earlier this month in Washington, D.C., OSEP hosted an event with Benetech, an organization that runs two OSEP-funded initiatives, the DIAGRAM Center and Bookshare. During this "Image Slam" event, the Benetech team provided a hands-on demonstration to ED staff of the best practices for image description, using its newly updated Poet Training Tool (Poet). Poet is an interactive training and information hub that strives toward making educational materials accessible to all students with disabilities. This online tool (1) trains and provides a platform for publishers and others to practice creating descriptions for images in existing publications and online resources, and (2) encourages users to get behind the "born accessible" mission of developing publications that are completely accessible prior to their release. Poet has already begun to influence how publishers, including Pearson and the University of Michigan Press, and technology partners such as Microsoft, are creating "born accessible" content and tools. The Diagram Center has ensured that Poet is open source so that it may be used by anyone interested in image description. You can try it out today! The final submission date for ESSA consolidated state plans was Sept. 18, 2017. ED is currently reviewing these submissions, a process that includes both (1) Department-level review and (2) a peer review process involving reviewers outside of ED. OSEP continues to be highly involved in the reviews and in ensuring that the needs of children with disabilities are reflected in this work, in accordance with ESSA’s statutory requirements. OSEP also continues to partner with the Office of Elementary and Secondary Education's Office of State Support on assessment-related issues, particularly those related to transitioning to the new ESSA requirements for participation in alternate assessments aligned to alternate academic achievement standards. Click on the image above to view the map in greater detail. 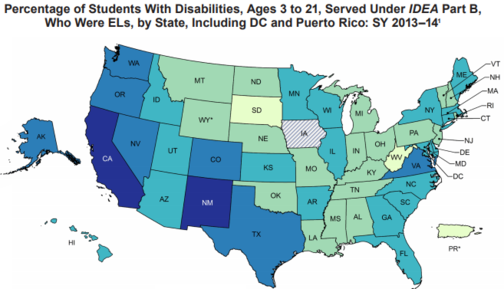 In collaboration with ED's Office of English Language Acquisition, OSEP has developed a new Fast Facts document displaying data on students with disabilities who are English learners. Charts and maps, such as the one above, show percentages of these students (1) being served under IDEA, (2) graduating with a regular high school diploma, and (3) being suspended and/or expelled. The document uses data on the 2013-14 school year from the EDFacts Data Warehouse. You can view this data, and data from additional years, on the IDEA data website.